The Beach Cities Health District (BCHD) is overseen by a five-member, publicly elected board of directors. Board members each serve four-year terms and volunteer their time to guide BCHD’s preventive health programming and services. Residents are encouraged to attend board meetings and may also contact board members directly with questions or comments. Click here for more information about the Board Member Election Process. Michelle Bholat, MD, M.P.H., was first elected to office in 2014. Dr. Bholat believes that basic health care is a right, and that where medicine cannot cure, compassion can help and heal. She is a long-time member of BCHD’s Strategic Planning Committee, and is dedicated to furthering awareness and prevention of drug abuse among teens in the community. 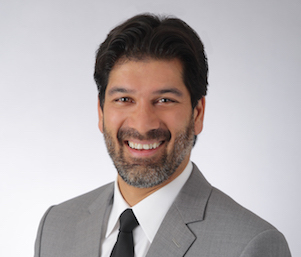 In addition to serving on the BCHD board of directors, Dr. Bholat is currently a family physician and the vice chair of family medicine at the University of California, Los Angeles (UCLA). She was appointed Los Angeles County Public Health Commissioner, and in 1999, she received the Los Angeles County Department of Health Services Recognition of Service Award for "Excellent Leadership and Tremendous Dedication to Our Community and Patients." 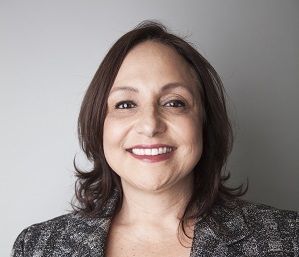 She has served on a wide range of committees and is a member of the National Hispanic Medical Association, the American Public Health Association and the American Academy of Family Physicians. Dr. Bholat is a graduate of the University of California, Irvine, where she earned a Doctorate of Medicine. She completed her residency in family medicine at Harbor/University of Los Angeles Medical Center and was appointed chief resident in 1994. Dr. Bholat earned an M.PH. in health care policy and administration, from the University of California, Los Angeles, and was appointed visiting assistant professor of family medicine at the university. In 1999, she was appointed vice chair and chief of clinical operations, making her the first Latina to hold the position of vice chair. In addition to her clinical and educational work, she serves as site director for grant projects related to chronic care as well as clinical trials related to substance abuse. She is a former fellow of the National Hispanic Medical Association (NHMA) and an active member of NHMA’s California chapter. Noel Lee Chun, M.D., Q.M.E. Noel Lee Chun, MD, QME, was first elected to office in 2006. Dr. Chun brings an understanding of healthcare administration and pain management services to Beach Cities Health District and is an advocate for the Blue Zones Project, emergency preparedness and childhood education. He is committed to growing the services in the community through forward-thinking planning. Dr. Chun has worked in private practice as an interventional pain physician since 2000. In addition, he has taught for the International Spinal Intervention Society since 2005. 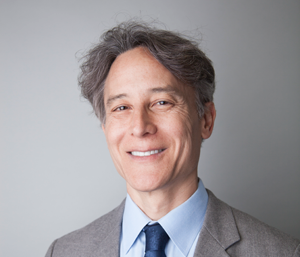 He is also an associate clinical professor in the department of anesthesiology at the UCLA School of Medicine. Prior to that, Dr. Chun was an anesthesiologist serving Los Angeles and Orange counties. Dr. Chun is a graduate of the University of Iowa College of Medicine, Iowa City, where he received a Doctorate of Medicine. Dr. Chun completed an NIH Training Fellowship in neuroanesthesiology at University of California San Diego School of Medicine, San Diego. He completed his residency in anesthesiology at Columbia-Presbyterian Medical Center, New York, and an internship at the University of Arkansas for Medical Sciences, Little Rock. He earned a Bachelor of Science in chemistry and mathematics from Clarke College, Dubuque, Iowa. A long-term resident of Manhattan Beach, Dr. Chun is a Diplomat with both the American Board of Anesthesiology and the American Board of Pain Medicine. Dr. Chun is a glider pilot and enjoys hiking and travelling. Jane Diehl was first elected to office in 2014. She is a strong advocate for enhancing data-driven wellness programs in the Beach Cities that specifically help low-income families. Ms. Diehl firmly believes that fiscal responsibility and transparency is the cornerstone of any public agency. Additionally, Ms. Diehl is a passionate supporter of the Blue Zones Project – a community-wide health initiative to help people live longer, better lives. As a Beach Cities Health District Board Member, she plans to expand BCHD’s presence as a central hub for community health – while continuing to provide residents with current, reliable health information and services, as well as distilling complicated health information down to help people better understand their options and take control of their health decisions. An alumnus of “The Ohio State University” and the Los Angeles Children’s Hospital’s physical therapy program, Ms. Diehl continues to enjoy a more than 30-year-long career as a physical therapist at Torrance Memorial Hospital. She is a Guild Certified Feldenkrais practitioner and formerly, a 10-year member of the Redondo Beach Unified School District’s Board of Directors, where she held the positions of president and vice president during her tenure. Ms. Diehl also served as Parent Teacher Association President for four years. Ms. Diehl has lived in Redondo Beach for more than 34 years. She has two grown children; and in her free time, Ms. Diehl enjoys walking, hiking and watching college sports. Vanessa Poster was first elected to office in 1996. She is a tireless advocate for those in need of health resources in the Beach Cities, especially older adults and children. 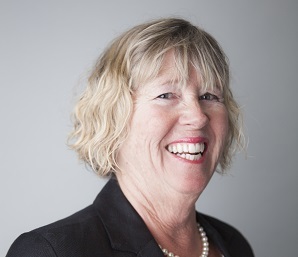 She is committed to supporting employee health programs, not only for Beach Cities Health District employees, but also for employers and employees throughout the Beach Cities. 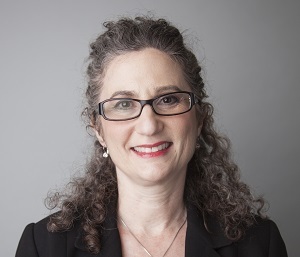 In addition to BCHD, Ms. Poster served as vice chair of the Association of California Healthcare Districts, as well as on the advisory board of the Iris Cantor Women's Health, Education & Resource Center. She is also the founder of Women's Coalition South Bay. An alumnus of Stanford University, Ms. Poster earned both her Bachelor of Arts and Master of Arts degrees with distinction. Ms. Poster's experience as a non-profit professional began in 1986 in Washington, D.C., and includes capital campaign management, board development, grant writing, event planning, program development, strategic planning and public relations. She has held the position of president at VIP Consulting since 2010 and is the former vice president of Schreck & Associates. Ms. Poster is a long-time resident of Redondo Beach and is the former director of development at South Bay Free Clinic (now South Bay Family Healthcare). She is an avid yoga practitioner. Vish Chatterji was unanimously appointed to the Board in June 2017. Mr. Chatterji, a Redondo Beach resident, has an extensive background in holistic medicine and meditation as well as an ongoing passion for supporting senior health issues like dementia and Alzheimer’s. He is also an entrepreneur and business executive, successfully launching a tech start-up and running product divisions at major corporations during his career. In addition to the BCHD Board, Mr. Chatterji serves on a variety of advisory boards, including Chai Energy and USC Master of Business for Veterans. He currently works at Head & Hearts Insights, where he coaches corporate executives and small business owners in leadership and business management, and teaches yoga, Ayurveda and meditation. The married father of three also volunteers as a garden docent at Madison Elementary School in Redondo Beach. Mr. Chatterji holds a bachelor’s degree in mechanical engineering from Northwestern University and a master of business administration from the University of Michigan, Stephen M. Ross School of Business.